Internet behemoth Tencent has soft-launched another Playerunknown’s Battleground game in the Philippines on Android. 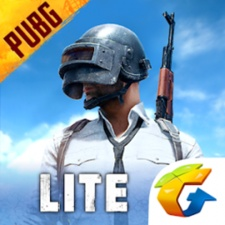 Called PUBG Lite, the battle royale title is a streamlined version of PUBG Mobile. Built with Unreal Engine 4, it is optimised for devices with less RAM and is designed to take up less room. The lighter model also means that lower-powered devices will be able to run the game without accepting a trade-off for functional gameplay. The gameplay itself is also smaller and features a smaller 2x2 kilometre map and a reduced player-pool of 40 combatants per game. More recently, Tencent has seen some increasing success with PUBG Mobile’s revenue following the introduction of the Royale Pass. According to Sensor Tower, revenue for the battle royale title leapt up by 365 per cent in the first week of its introduction. More specifically, revenues jumped from $1.3 million per week to about $6.1 million in the week following June 19th. PUBG Mobile is now said to be grossing $700k per day. Prior to June 19th, it had been averaging revenues on average of $170k a day.